Here at Creative resumes you can expect a Certified Professional Resume Writer to work with you every step of the way. Our company is based on the belief that our customers’ needs are of the utmost importance. We hope you can find everything you need. 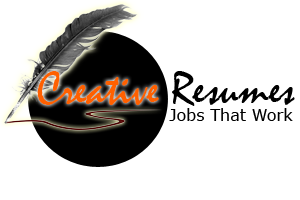 Creative resumes is focused on providing high-quality service and customer satisfaction. We will do everything we can to meet your expectations. With a variety of services to choose from, we’re sure you’ll be happy working with us. We guarantee your satisfaction by offering unlimited revisions within 7 days of receiving the finished product. We will work with you until you are completely satisfied. We stand behind the quality work of our resumes! We do not trade, share, sell, or otherwise transfer your personal information to any third parties. Information obtained in the contact form is used for the sole purpose of providing information that was requested by you. This information is not distributed to any third parties and will not be put on any spamming lists. If you choose to cancel your order you can do so within 24 hours of placing your order and will receive a full refund. respective work experience. Our resumes showcase and highlight an individual’s talents, giving them a competitive advantage against their peers in their job search. Our resumes showcase and highlight an individual's talents, giving them a competitive advantage against their peers in their job search. Package includes Resume, Cover letter, Build/Edit LinkedIn, Interview Thank You Letter, Resume Distribution. Our Resumes or CVs are customized and tailor-made to your respective work experience. Our resumes showcase and highlight an individual's talents, giving them a competitive advantage against their peers in their job search. A Cover letter is an accompanying letter that introduces you, explains your purpose for writing, highlights a few of your experiences or skills, and requests an opportunity to meet personally with the potential employer. After an interview, a thank you letter reaffirms your interest in a given position, and demonstrates that you conduct yourself in a professional and respectful manner. desired field through email and fax. create profiles and "connections" to each other in an online social network which may represent real-world professional relationships.